A SystemX building with enclosures and fences. Four main areas for the animals. 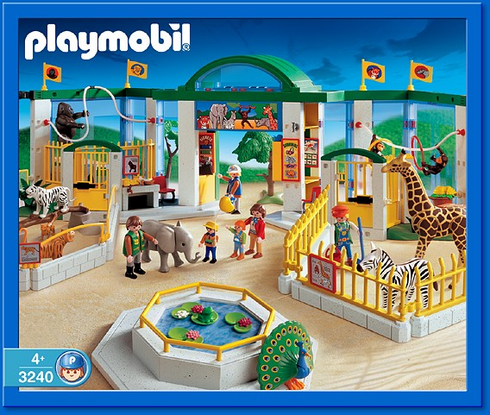 Includes two zookeepers, a family of four, and lots of animals.